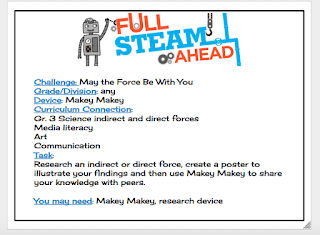 Link to May the Force Be With You task cardAfter completing their unit on Forces, the grade 3 students were asked to choose a force they felt comfortable teaching others about. 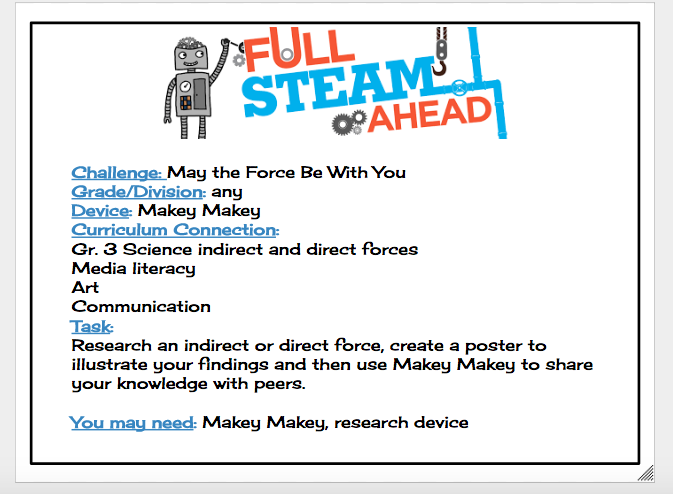 Their goal, was to create a group poster with four sections, each teaching about a different force. Along with using their classroom notes and textbooks, students were given several periods to complete additional research on the force they chose. Once the students had compiled all of the necessary information, they began to sort their ideas into an informational writing piece.